A notorious crime over fifty years ago in Texas changed the way Americans view courtroom drama—not just as fictional entertainment but as reality programming. 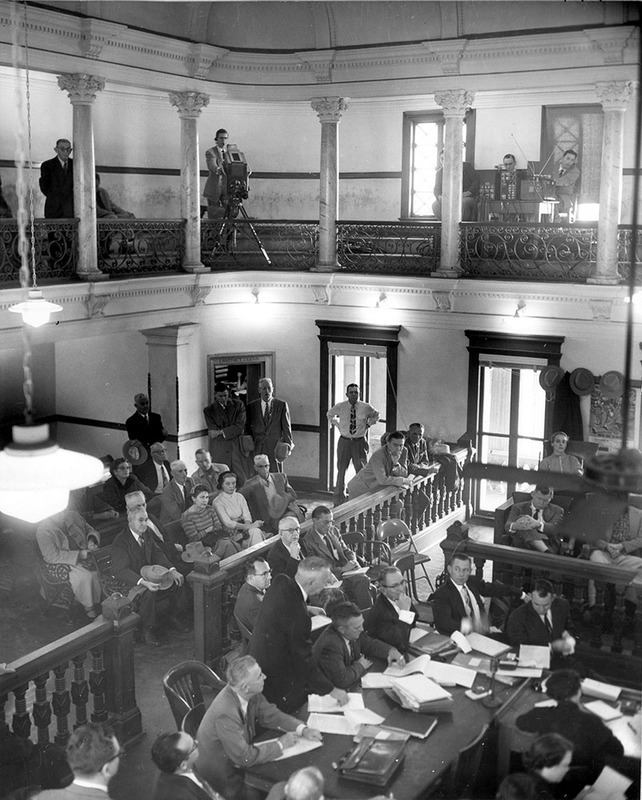 In December of 1955, the murder trial of Harry Leonard Washburn of Houston in a McLennan County courtroom brought not only scores of observers from around the country but also the eyes of local viewers who were mesmerized by the proceedings. On January 19, 1955, San Angelo police arrived at the scene of a car-bombing, a rare crime virtually unheard of in Texas. The victim—Helen Harris Weaver, 51, a rancher and well-known architect’s wife—was killed instantly by a bomb wired to the ignition of her husband’s car. Police presumed he was the intended target. It wasn’t long before newspapers named Washburn, the Weavers’ former son-in-law, as a suspect. Most accounts described him as “a down-and-out contractor.” Further investigation found that Washburn apparently had been unsuccessfully trying to hire a hit man for the job but ultimately decided to do it himself. Police described his motive as anger over being cut out of the family fortune. A colorful parade of witnesses—barmaids, strippers, female wrestlers, and assorted thugs—testified that Washburn planned to kill his father-in-law and then extort protection money from the widow to keep the rest of the family from harm. Because of the amount of pretrial publicity in and around San Angelo, the Tom Green County district attorney and defense attorneys sought a change of venue. Judge Drummond W. Bartlett of McLennan County offered to move the trial to Waco. Bartlett also agreed to allow a KWTX-TV camera to broadcast the proceedings from the balcony of his 54th State District Court. 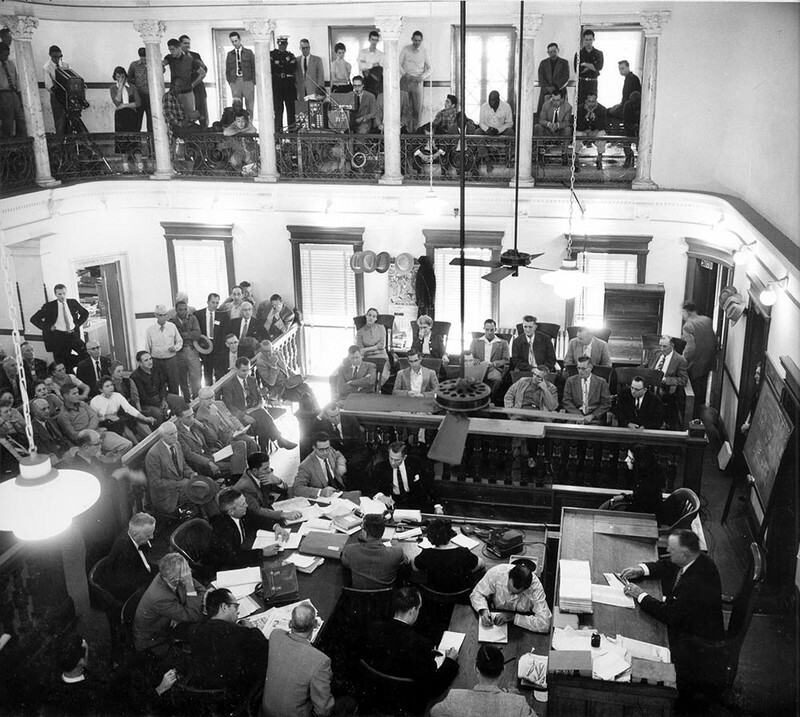 The previous summer, he had allowed John Bennett of the Waco Tribune-Herald staff to experiment with unobtrusive courtroom photography. Advocates of cameras in the courtroom argued that television equipment could be unobtrusive, thereby not damaging to the decorum of the process. Critics argued that however inconspicuous, the mere presence of cameras turned the judicial process into show business—jeopardizing the defendant’s right to a fair trial. Asked if he minded live television coverage of his trial, Washburn said: “Naw, let it go all over the world.” He was later found guilty and sentenced to life in prison. 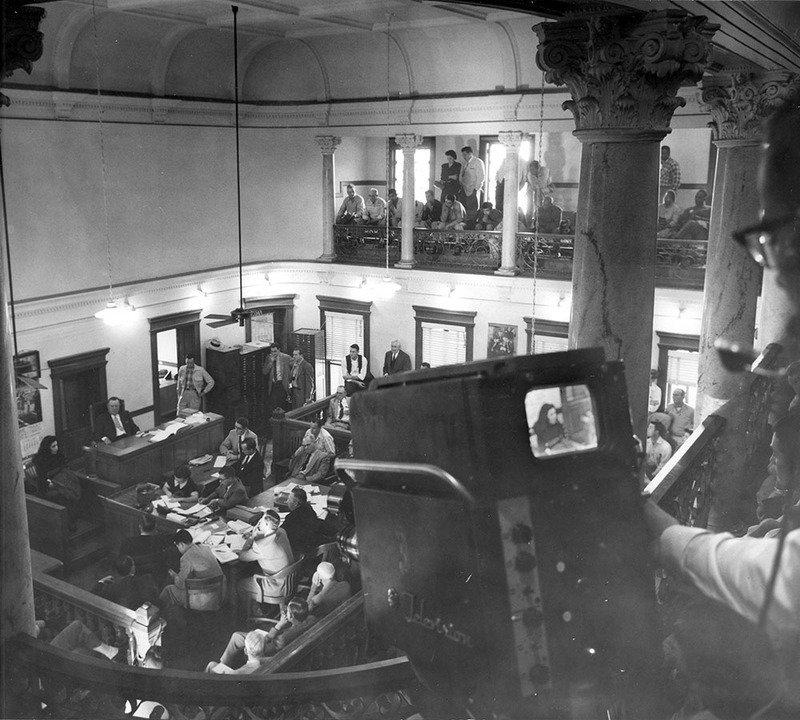 There was coverage from the opening gavel to the conclusion of each day—unedited and commercial-free, according to station general manager M. N. “Buddy” Bostick. All other programming was nixed, resulting in a $10,000 revenue loss to the young station—an almost $80,000 impact in today’s dollars. 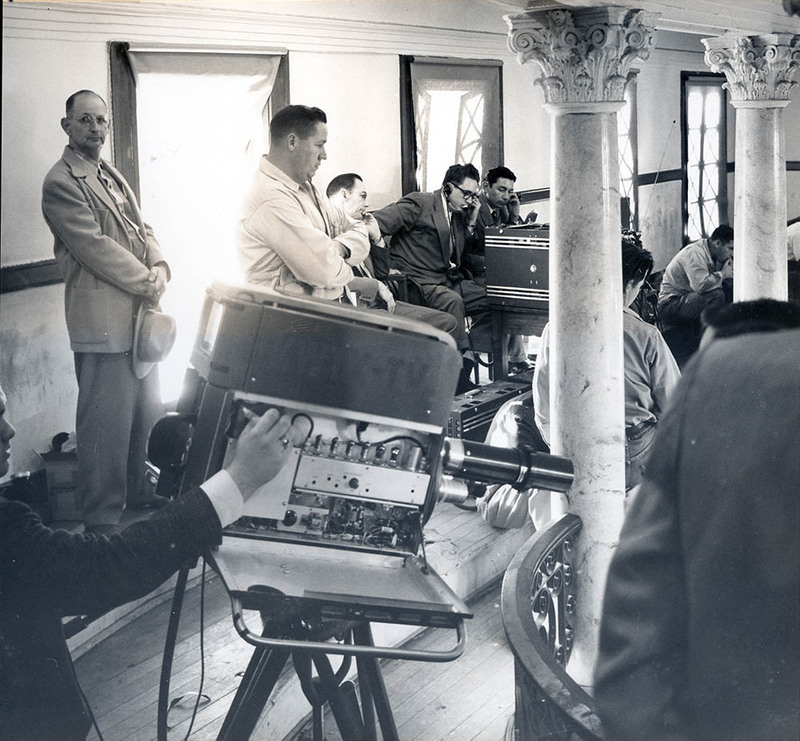 The only special accommodations made for the broadcasters was boosting the lighting from 50-watt bulbs to 100-watt bulbs and hiding three microphones among the furnishings: the witness’s stand, judge’s bench, and prosecutor’s table. From December 6 through December 9 in 1955, as the story goes, one could have “shot a cannon down Austin Avenue . . . and not hurt a soul” because the normally frenzied Christmas shoppers were all inside watching the trial. After a four-day trial, Washburn was convicted of murder, and Waco television had made history. Terri Jo Ryan, “Harry L. Washburn Trial,” Waco History, accessed April 19, 2019, https://wacohistory.org/items/show/137. A version of this article originally appeared in the “Brazos Past” column of the Waco Tribune-Herald. Ryan, Terri Jo. “Waco Trial Changed TV Forever.” Waco Tribune-Herald. May 15, 2010.